1 Find A Grave, (accessed 10/04/2011). 2 U.S., Sons of the American Revolution Membership Applications, 1889-1970, SAR #66202, Membership application for Col. James Roosevelt, Ancestry.com (Online Database). 3 Aspinwall, Algernon Aikin, comp., The Aspinwall Genealogy, Rutland, Vermont: The Tuttle Company (1901), 169, Internet Archive (Digital Library). 4 Roberts, Gary Boyd, The Royal Descents of 600 Immigrants to the American Colonies or the United States , Baltimore: Genealogical Publishing Co. (2008), 94, 184, 308, 434, 564. 5 Roberts, Gary Boyd, The Royal Descents of 900 Immigrants to the American Colonies, Quebec, or the United States (2 vols.) , Baltimore: Genealogical Publishing Company (2018), 356, 376, 921. 6 Roberts, Gary Boyd, comp., Ancestors of American Presidents , Boston: New England Historic Genealogical Society (2009), 430, 437, 440, 446, 479, 450, 455, 469, 503-506, 508, 558, 570-571, 662. 7 The New York Genealogical and Biographical Society, New York Genealogical and Biographical Record, 1942, Vol. 73, No. 3, pp. 159-166 and accompanying chart. 8 Whittelsey, Charles Barney, The Roosevelt Genealogy 1649-1902, Hartford, Connecticut: J. B. Burr and Company (1902), 80. 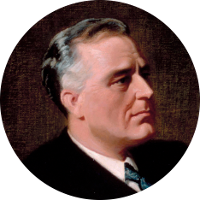 9 Wikipedia, "Franklin D. Roosevelt", (accessed 10/04/2011).